Often overlooked for other South Asian destinations, the island nation of Sri Lanka wows those savvy enough to visit with stunning beaches, a vibrant culture, ancient civilizations, a deeply spiritual outlook, and a newfound optimism. 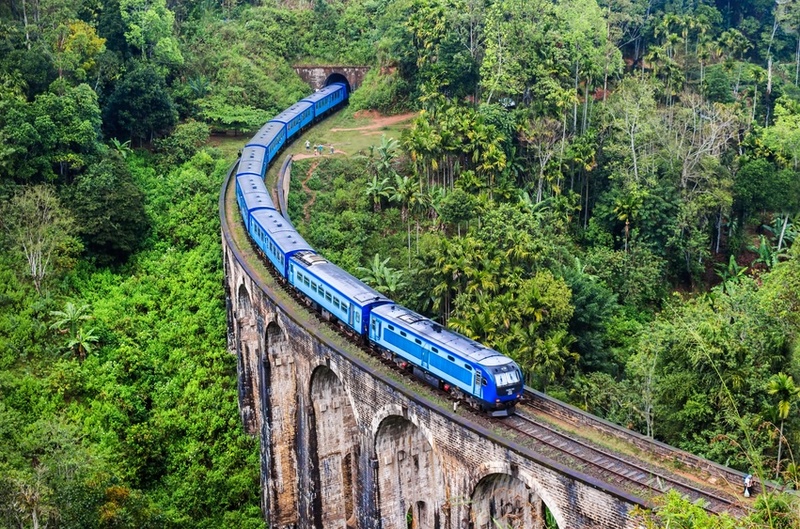 Want to learn more about Sri Lanka? April and September are arguably the best months to visit Sri Lanka, with warm weather and little rainfall. December to March is also a fine time to visit, though some parts of the country can get busy and prices will rise. Finally, May to August features monsoon rains in much of the country, though parts of the north are beautiful this time of year. Sri Lanka is an island off the southeast coast of India in the Indian Ocean. While it obviously has no land borders, the country does have maritime borders with India and the Maldives. To visit Sri Lanka you will need to obtain a tourist visa. The visa costs just US$30 and can be obtained either before you depart or upon arrival. Buses are the main mode of transport, and although they are cheap they can be crowded or even downright dangerous. Trains are improving and, while not as comprehensive as buses, provide some spectacular views and are a worthy trip in and of themselves. Finally, you can hire a car with a driver for more freedom. Sinhalese and Tamil are the two official languages of Sri Lanka, however Sri Lankan English is also recognized and widely spoken. Though some words and phrases are different, you should be able to get by in most parts of the country. 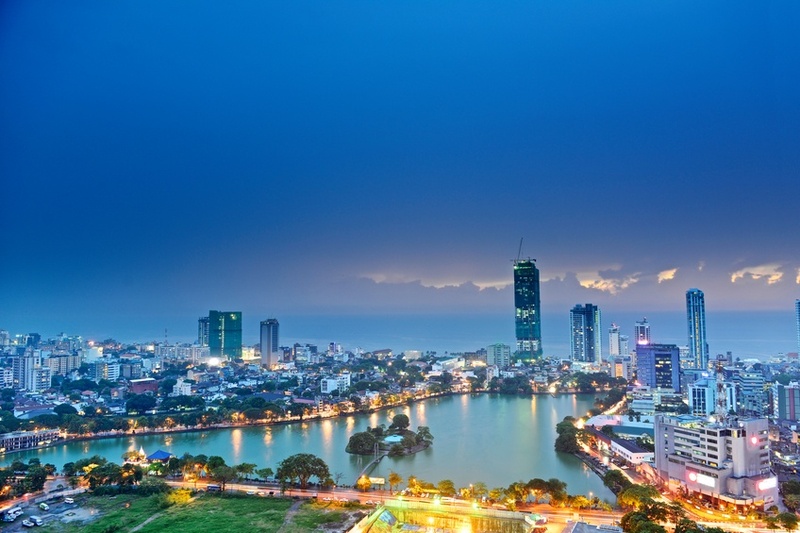 Sri Lanka’s largest city (and co-capital) is as good a place to start your journey as any. Colombo expertly bridges the gap between the colonial history of the country and the cutting-edge, cosmopolitan air it presents today. 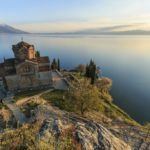 You’ll find great food, stunning architecture, cultural sights (like museums and galleries), and much more within the city limits. 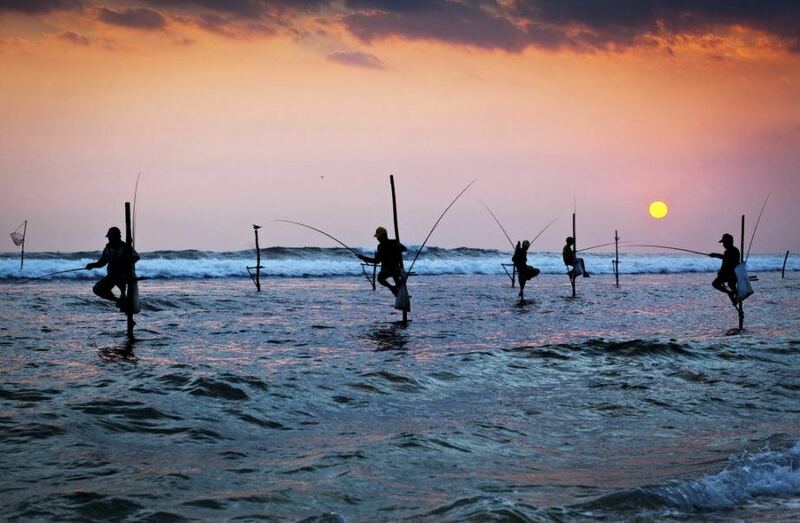 You owe it to yourself to give Colombo a try before you set off in search of the more remote beaches! Moving further back past the colonial era takes us to ancient Sri Lanka – a fascinating and evocative time period that is fully on display in Anuradhapura. The city is home to a vast complex of temples, dagobas, pools, and other reminders of the bygone era. That isn’t to say it’s all ‘look don’t touch’ here however. You’ll find religious services and regular festivals are still held throughout the year. A remnant of the Dutch colonial era in Sri Lanka, the coastal city of Galle is one of the most magical and beautiful destinations in the country. You’ll find the usual abundance of colonial buildings, a large fort nearly surrounded by ocean, a stunning cricket stadium, and one of the iconic images of the country – groups of fishermen plying their trade atop stilts mounted in the sea. Between the ocean and the Fort, Galle provides more than enough highlights to justify a side trip from nearby Colombo. While the Sinhalese are the dominant ethnic group in Sri Lanka, the Tamil Hindus make up a sizable minority of the population. And there’s no better place to immerse yourself in Tamil culture than the northern city of Jaffna. While the city was harshly impacted by the long civil war, today it is working to rebuild and showing the modern face of Tamil Sri Lanka. While the conflict is over, you should be aware that there remains a very heavy military presence. The last bastion of Sri Lanka’s famed dynasties centuries ago, the whimsically named city of Kandy resides in the land’s picturesque hill country. The city itself is alive and bustling, and is arguably the premier urban destination in the country after Colombo. It’s the setting however that makes this a must-see. 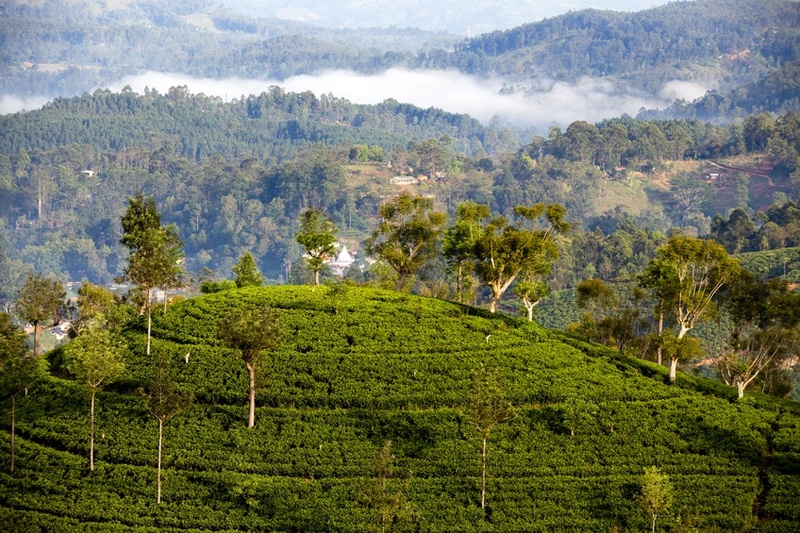 The rolling hills are home to scenic vistas and widespread tea production. If you’ve visited the famed hill stations of northern India, Kandy and its surrounding landscape will provide a perfect counterpoint to show how Sri Lanka does tea. Ask anyone about the highlight of their trip to Sri Lanka and the answer you’re likely to get will almost certainly involve ‘beaches’. While nearly the entire island features a rim of great beaches, we figured we should point you somewhere specific instead of just saying ‘walk towards the water’. From the resort city of Trincomalee, you can easily get to the beaches of Uppuveli and Nilaveli. Besides the sand, warm waters, and ample scuba diving and snorkeling, both beaches have a somewhat relaxed, peaceful atmosphere to them (without an overabundance of tourists). You really can’t go wrong with any of Sri Lanka’s beaches, but these might just be the best two! Round trip flights between Toronto Pearson and Colombo start around the $1200 Canadian mark. As always, be sure to shop around, as there can be deals out there. Overall however, Sri Lanka is about on par with nearby countries when it comes to flight prices. Prices in Sri Lanka are pretty cheap for the most part, with an average day working out to about $46 Canadian. This includes $18 for accommodation and $13 for food. If you’re good at penny pinching, you could potentially spend as little as $17 a day while living large will cost closer to $139 a day. There is no nationwide advisory for Sri Lanka according to the Canadian government, however a high degree of caution is recommended due to the post-war security situation. While there have been no terrorist or insurgent incidents since the war’s end in 2009, the military presence in the north and east of the country (including around Jaffna) remains very high. Be sure to cooperate with all security forces and ensure you have your identification at all times. 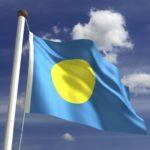 Petty and violent crime directed at foreigners has been reported, so you should be alert when out and about. Also, avoid demonstrations or other such gatherings. In addition, women should be careful when travelling alone as they may receive unsolicited attention. Finally, you should be very careful on the road (remember that you drive on the left), where erratic driving and poor road quality can cause dangers. For more on travel safety, check out the Canadian Travel Advisory for Sri Lanka. You can learn more about Sri Lankan history and culture in the Country Profile and its currency in our Spotlight.